"Strengthening Transatlantic Resilience in Turbulent Times" - Atlantik-Brücke e.V. For over seven decades, the United States and its European allies have shaped the international liberal order. They set limits and protected this order through collective action and strong multilateral institutions. In recent years, however, the influence of the West has waned and the multilateral system is under threat, leaving the transatlantic partnership that has been the bed-rock of the international order at an important juncture. 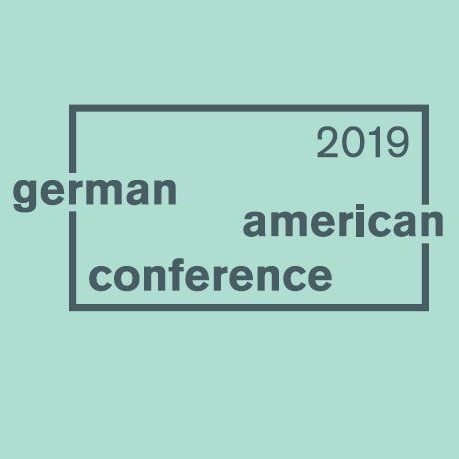 At this critical time, the American Council on Germany and Atlantik-Brücke will convene their annual transatlantic conference to explore the durability of the transatlantic partnership and of democratic institutions and practices on both sides of the Atlantic. The conference will debate the question: How can we strengthen resilience to deal with myriad disruptive domestic and inter-national threats in today’s interconnected global environment? There is a danger that these tensions will create fissures in the relationship, allowing strategic competitors like China and Russia to fill this space. With Germany and the United States both inwardly focused on a variety of issues, it is harder to ad-dress the common challenges in a constructive way. But just because it is difficult does not mean it is not worthwhile. Despite turbulence between Washington and Berlin (and Brus-sels, for that matter), the transatlantic part-nership may be stronger than some observ-ers and pundits might think. Resilient Democracies or the Waning of the West? Diese Veranstaltung richtet sich an ausgewählte Gäste, Mitglieder sowie Young Leaders-Alumni der Atlantik-Brücke.